We call it the Red Centre in Australia, right in the middle, a long way from everywhere else. It possesses an ethereal beauty. Hi folks! 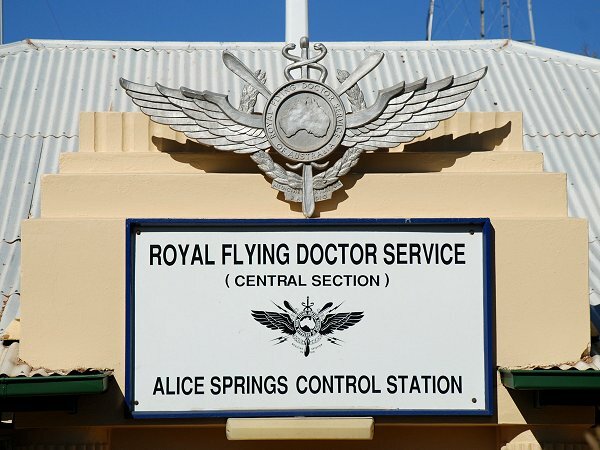 Today we talk to Dr Richard Johnson, a British emergency physician who has fallen in love with the work and lifestyle of a retrieval medicine specialist in Alice Springs, in the centre of Australia. We call it the Red Centre because of the beautiful red hues of the sand and rock of the region. 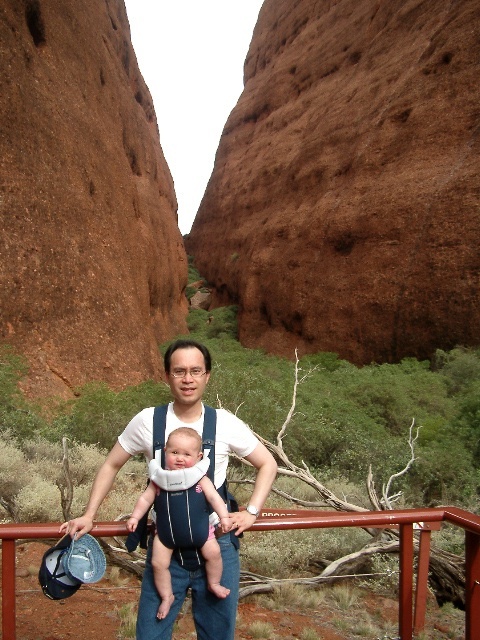 It is a timeless place, where natural wonders such as Uluru ( aka Ayers Rock, the largest monolith on Earth) and Kata Tjuta (aka Olgas, large rock formations) lend spirit to a vast landscape. Photo of me and my daughter a few years ago when I had hair! We are at Kata Tjuta ( aka Olgas) near Uluru. Beautiful red rock formations, millions of years old. Richard is the newly appointed director of the retrieval service of Alice Springs. Interested in a job after hearing our interview, drop me an email and I will forward it onto Richard! My retrieval mate Cliff Reid and his wife have worked in Alice Springs and Chris Nickson of LITFL blog is there right now , working in the ED. Great to listen to – thank you. Alice Springs is beautiful, but I think the town gets more that its fair share of ugly scenes. thanks Jacinta. recent criminal violence has highlighted Alice Springs in the media thats true. thats no secret. in general though I still felt safer walking the streets of Alice than other parts of the world I have travelled to. no place is immune from the evil within the human heart. I would not say Alice is any worse than other rural parts of Australia but maybe when it occurs it is more obvious and public as it is not a big town yet is a major tourist destination. Along the east coast and Sydney we have had a recent spate of shootings related allegedly to a war between rival bikie gangs. Innocent bystanders have been injured during these incidents. it probably is safer in Alice in general currently than being in Sydney or the Gold CoAst, where the last shooting occurred. What a neat podcast and a neat guest! 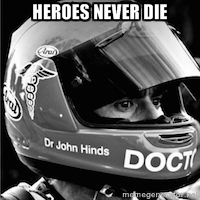 Thank you for taking the time to describe one of your colleagues in retrieval medicine. It makes me want to apply for the fellowship you mentioned, although I would have a lot of medicine to learn.